Cherish Im, also known as Dr. Cherish, was born and raised in Toronto, Canada. While attending high school, she developed an interest in dentistry and began working as a dental assistant. She then continued her education in Ontario and earned a Bachelor’s degree in Science from McMaster University in 2006. Dr. Cherish followed her interests by moving to the United States and attending New York University College of Dentistry, where she earned her Doctor of Dental Surgery Degree. 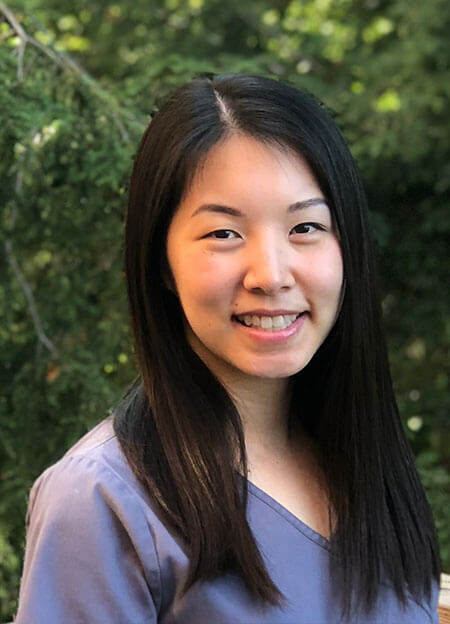 In her early days of dental school, she developed a keen interest in working with children, which prompted her to advance her studies and clinical practice in Pediatric Dentistry at New York University College of Dentistry. During her residency, she went to Alaska and many other underprivileged areas to provide dental care and education to those in need. Because of these experiences, Dr. Cherish developed an endearing passion for serving children throughout her career. Dr. Cherish is Board Certified by the American Board of Pediatric Dentistry (ABPD) and a Diplomate of the ABPD. She is also a member of the AAPD (American Academy of Pediatric Dentistry) and ADA (American Dental Association). She is certified in Basic Life Support (BLS) and Pediatric Advanced Life Support (PALS). Dr. Cherish currently resides in New Jersey with her husband, their twin boys and their French bulldog, Mochi. She enjoys singing, traveling, and spending time with family and friends.